There's no disputing the fact that the safe removal of asbestos in Burnaby isn't within the means of your average do-it-yourself handyman. It's a hazardous material that can induce serious health problems, and that should be reason enough to make the call to a professional restoration and clean-up company. Asbestos was integrated into building materials for decades, being identified as having effective fire-retardant properties. Nearly 40 years ago, however, it was determined that asbestos fibres were very dangerous to anyone who inhaled them, with the possibility of a number of respiratory and other health ailments. Many properties have undergone Burnaby asbestos abatement since that time, but still many require it. If yours is identified as one of them, turn to Urban Environmental to know the job will be done right, thoroughly and completely. 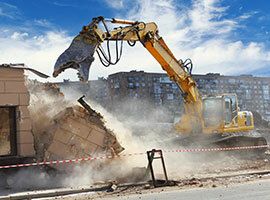 Their expertise paired with years of experience and sound remediation practices lets them make their service promise to every customer, and they also see to it all materials are disposed in an environmentally friendly manner. You don't want to grow mold, but if you did, here's the recipe for it. Set up a few spores in prolonged dampness and shade with plenty of oxygen. It's often a hidden danger, and it's definitely a problem you want to address without delay. 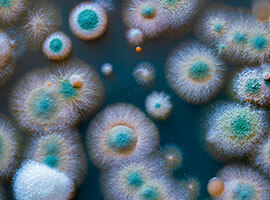 No one knows the safe removal of mold in Burnaby better than Urban Environmental. You don't want any part of the serious health problem that can come from exposure to mold spores, so it pays to be explicitly in the know regarding the possibility of them on your property. With a thorough and complete approach to the job that ensures the problem is eradicated completely, Urban Environmental gets the job done right. They also take specific steps to minimize the chance that the mold infestation has any chance to re-establish itself, and provide advice on additional steps the owner can take if applicable. Mold is just as unwelcome as asbestos! Call Urban Environmental and receive expert Burnaby mold remediation. Need it cleaned up? Urban Environmental is ready to go and exceed your expectations. They have established a reputation for excellence with nearly any type of Burnaby property restoration project, including vermiculite removal, insulation installation or removal, grow-op testing, crime scene clean-up, and bio-hazard cleanup. One call does it all, and before you know it - everything will be back to normal!